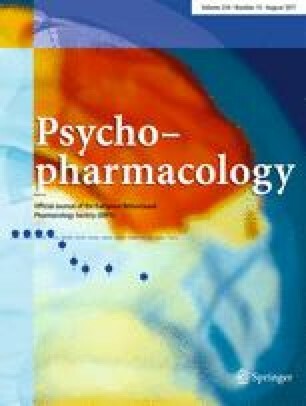 A choice between two levers in an operant chamber was used to train 24 rats, under a variable-interval 15 s schedule of sweetened milk reinforcement, to discriminate a hallucinogenic (psychotomimetic) agent, 5-methoxy-N,N-dimethyltryptamine (5-OMe DMT), from saline administration. The 5-OMe DMT stimulus generalized in a dose-related manner to each of 14 tryptamine related analogs. With the exception of one compound, the effective dose for the 5-OMe DMT response correlated highly (r=-0.86) with 5-HT receptor affinity (as determined using an isolated rat fundus preparation).